My best mate has just given birth to her first baby. She had a difficult pregnancy and was diagnosed with Vasa Praevia, which meant the baby was at such risk that she was advised to have a planned c-section at 36 weeks. Everything went ok, thank goodness, and her daughter is now 4 weeks old. Having planned to exclusively breastfeed, it was great that she initially established feeding well, but after various problems and with total exhaustion, she moved to combination feeding â€“ a mix of breastfeeding, pumping and formula. The hospital was supportive, and it was working for them. Her milk came in quickly and she had already managed to express a good amount in hospital, so it was a bit of a shock to get a call from her husband late at night a couple of days later asking for help. She was close to giving up breastfeeding due to the pain and was suddenly struggling to pump anything at all. I’m no expert when it comes to pumping. Our bodies are designed to feed babies, not electric appliances, and sometimes they just don’t cooperate. I had difficulty getting a letdown without my daughter present and rarely managed to pump more than a mouthful. I was lucky enough that I didn’t desperately need to make it work and gave up on the idea pretty quickly. Make sure the breastshields on your pump are the right size for you. Some pump manufacturers offer a range of options and shape and size does vary from brand to brand. If the breast pump isn’t doing its job, take it back to the shop. Just because it has won awards, doesn’t mean it is going to be right for you. Consider hiring a hospital grade pump or try a different brand. My friends took theirs back to the shop and decided on a Medela Swing, which they have been very happy with. Relax! (I know, I know….) Letdown is much slower if you are tense, so if you are really struggling and none of the tips below work, don’t keep pushing yourself. Leave it for half an hour and then try again. More practically, Bach’s Rescue Remedy helps you relax and encourages letdown. I have no idea how it works, but it definitely does and I can highly recommend it for general use for tired and stressed new parents. Warmth helps â€“ try a heat pad while pumping, or have a warm bath or shower beforehand. 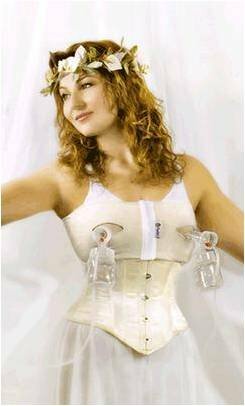 Gently massage your breast while pumping. Lean forward as you pump. and try not to focus on the bottle â€“ watch something light to distract yourself. Use water on the breastshield to get a better seal. Pump on one side while feeding on the other â€“ baby will stimulate letdown. Try some â€œgalactagoguesâ€ (things that support milk supply) eg. fenugreek and oatmeal. If pumping is uncomfortable, consider hand expressing â€“ it’s a gentler process, and can be just as effective.